Hoping to score a RACP (Redevelopment Assistant Capital Program) grant for $5,208,000, the Bradford County Commissioners passed a resolution on Thursday to allocate a matching amount of Act 13 funds for the Progress Authority Broadband Initiative (PABI). The project is at least two years in the making and is picking up steam. Much of the engineering and pole analysis has been completed, especially for the first phase of the project, which will target the northwestern part of the county between Towanda and Troy. The object is to fill in the “darker,” under-served areas in the county, primarily for emergency communication. 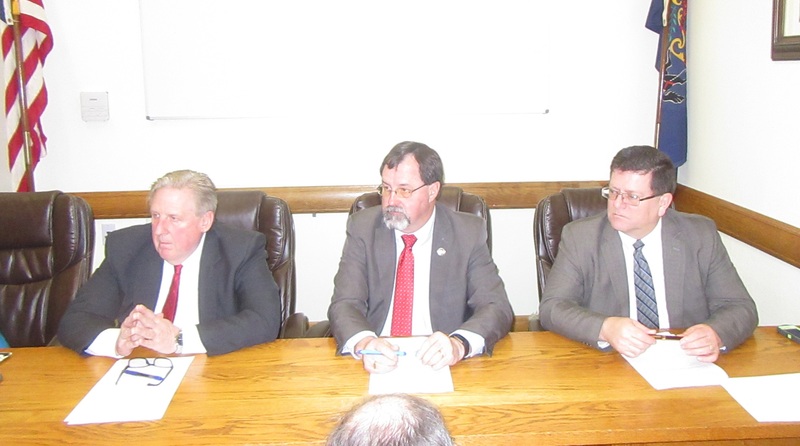 The commissioners are united in their belief that companies in the private sector will take the lead to use the enhanced fiber-optic system to take better internet and cell service to rural residents – and that leasing of fibers and space on new communications towers will help the project pay for itself within a decade. “It’s no easy task,” McLinko continued, citing the fact that Bradford County is the second largest in area in the state and contains some of the most diverse topography. Bradford County will be the first customer for the completed loops, of which three are planned. Act 13 funds, realized from impact fees levied on natural gas companies, can be used for public safety. The county has lost internet several times during emergency situations, McLinko noted. A tower installed on Mt. Pisgah with Act 13 funds has already significantly enhanced communication between the emergency operations center and that part of the county, Bustin explained. “We’re moving along with this project,” Miller concurred. All of the commissioners agree that all three loops can be completed in three years and that better internet and cell service for most residents will parallel the developments. Friends of the Valley Playground, built at least 30 years ago behind the borough building in Athens are submitting an application for a PA DCNR grant to totally rebuild the popular recreation area. The commissioners approved their request for a letter of support. According to Matt Williams, Bradford County Planner, the Planning Commission has also drafted a letter of support for the project, which will cost upwards of $330,000. New voting machines with Election IQ technology will be used for the first time in Bradford County this spring, following a state mandate for machines that leave a “paper trail,” which lead to more accurate recounts, if one is required. The cost is more than $1.2 million. The commissioners expressed their appreciation of Gov. Tom Wolf’s decision to allow all counties effected by the resignation of Rep. Tom Marino to hold the mandated special election to fill the seat concurrent with the spring primary election on May 21. 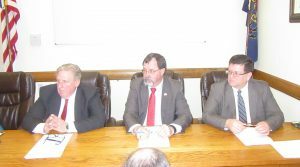 Had the governor not responded in favor of letters of request from county commissioners in the region, tax payers would have been on the hook for $50,000 in Bradford County alone. 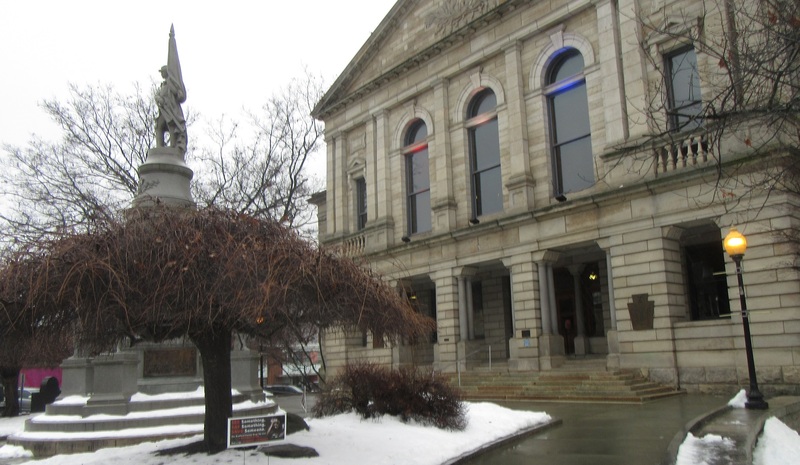 A proposal for sending a letter requesting the special election not be a separate event was on the commissioners meeting agenda, but word arrived just before the meeting of the governor’s decision. “We appreciate the governor making this decision as quickly as he did,” McLinko remarked, noting that the old voting machines would have to have beeen re-employed to service any election prior to May.